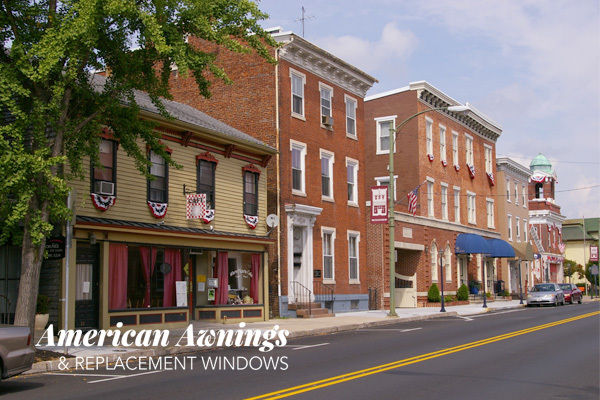 American Awnings & Replacement Windows is proud to serve the Mechanicsburg, Carlisle, Newville, and Enola areas with quality and affordable retractable awning and replacement window solutions for residential and commercial customers. Improve the value and comfort of your home by expanding your outdoor living space with a premium retractable awning. Our dedicated professionals will install your new retractable awning with the utmost care and precision. Are your current windows less to be desired, costing you hundreds in wasteful energy consumption? Consider replacement windows from American Awnings & Replacement Windows. We have many styles available to satisfy the look and feel you desire. With multiple glass, grid and color options, you may select the perfect window solution to suit your needs.